Come In Before You Cook Out! 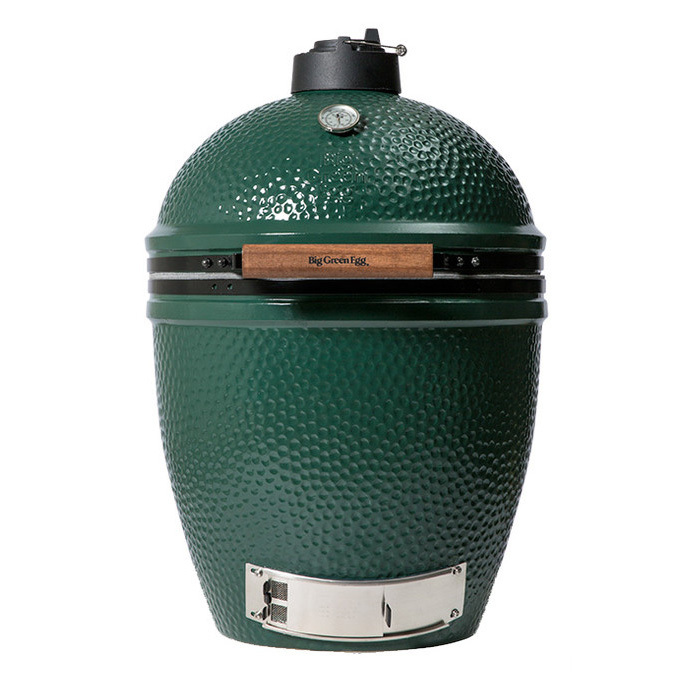 The Big Green Egg is more than just another grill – It grills, bakes,smokes, controls the heat, and basically turns your outdoor patio into a kitchen. 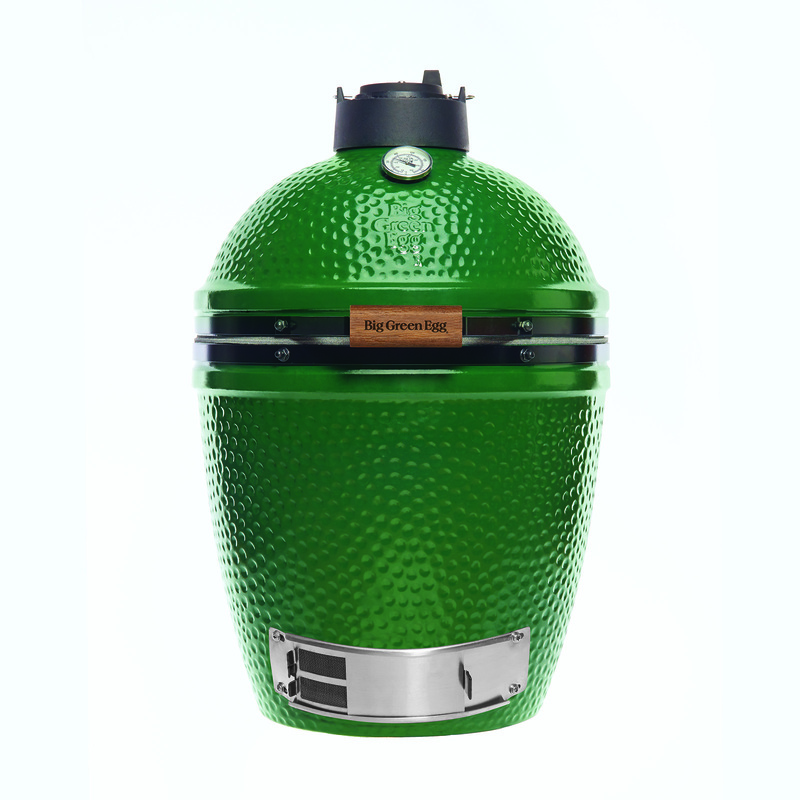 We chose to give the Big Green Egg its own page because of its unique place in outdoor cooking. At Grates and Grills, we carry just about all the models and accessories that they produce, so don’t hesitate to stop in, email, or call us to get yours. 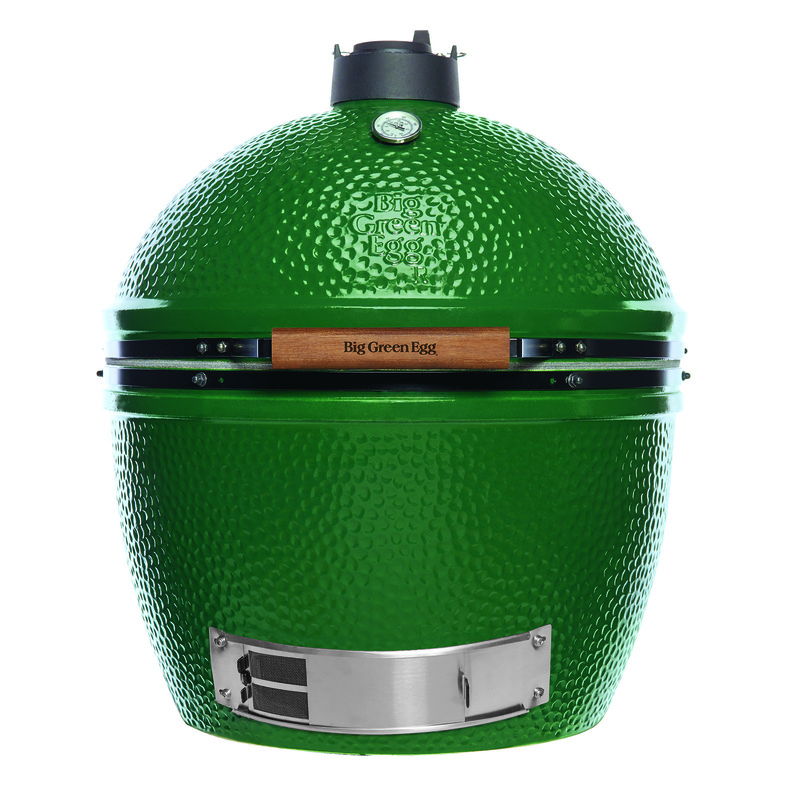 The Big Green Egg is a class of grill known as a kamado grill. Some historians believe that its origins date back over 3000 years to Chinese clay pots used for cooking. 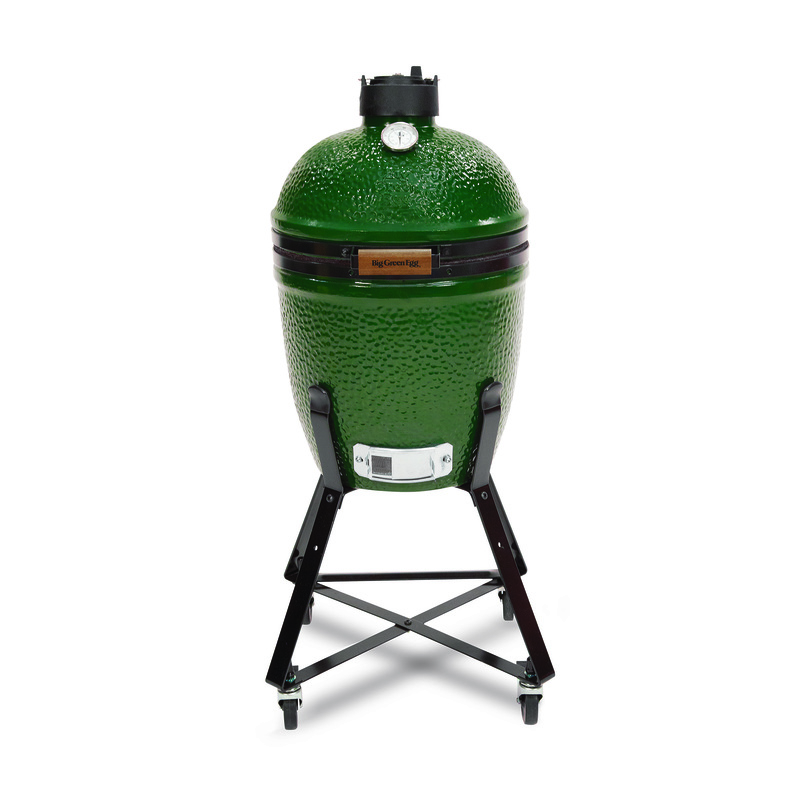 Modern kamado grills are typically made of ceramic or in some cases, steel. The unique construction and air flow control of these grills make them extremely versatile – from roasting a turkey to baking a pizza. Fueled by charcoal, these grills provide a unique way to grill, bake, or roast just about anything. Check out a few of the recipes from their site here. 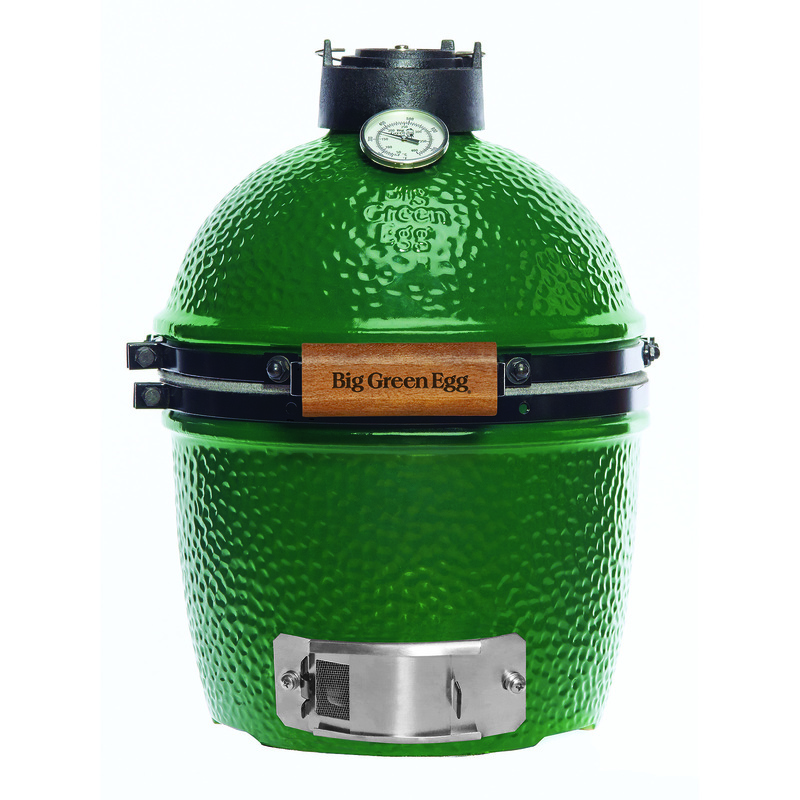 Once you have your Big Green Egg, the check out all the accessories, support, and recipes you can try – courtesy of Grates and Grills, and the Big Green Egg.